Yes, that’s what the man 2 seats away said to me tonight at the movies during previews! My insulin pump had just started to alarm. So I took it out of my pocket and saw that it was a site change reminder. I was just turning off the reminder when he chastised me! I was stunned. This is not the first time I’ve been scolded! Once, before a live theater performance, an elderly usher came by as I was giving myself a bolus. She said, “You know better! Now put that away!” I protested and told her it was a medical device. She said, “I don’t care, put it away!” I was stunned then too! Another time, I was having lunch with a board member from a diabetes fundraising organization. I pulled out my CGM … and BAM, I got a lecture! He told me that he doesn’t let his grandchildren use their phones at the table and he was surprised that I was using mine! I showed him that it was a CGM and then I pulled out the pump. At least he apologized! Tonight’s dressing-down really upset me! First of all, it was before the movie started! And second, it just seemed so rude and presumptuous! I said, somewhat curtly, “I’m sorry but this is an INSULIN PUMP!” He said nothing. I worked hard to settle myself down. It’s not enough that I have to manage devices and be interrupted … but to be called out by a stranger?!?!?!?! Apparently he stumbled all over himself to apologize … even asked if I was ok. I was so proud that my husband “defended” me and my actions … plus educating someone. Just wish I could have been there to smile sweetly! PLEASE tell me your experiences with your “tools of the trade” in public! Joanne, you and Richard handled that situation with grace. I’ve had my pump alarm during a business meeting, when there was no vibrate function available, and I received some annoyed glances from colleagues. Unfortunately, at that time I wasn’t comfortable disclosing it as a medical device, so I endured the reaction and just dealt with the alarm and tried to delay the site change as long as possible. But in public, I’d do what you did and try to educate the person about the need for these alerts to stay healthy. Bravo to you and Richard. Laurie D adds: This was sad to read but it is an unfortunate truth. 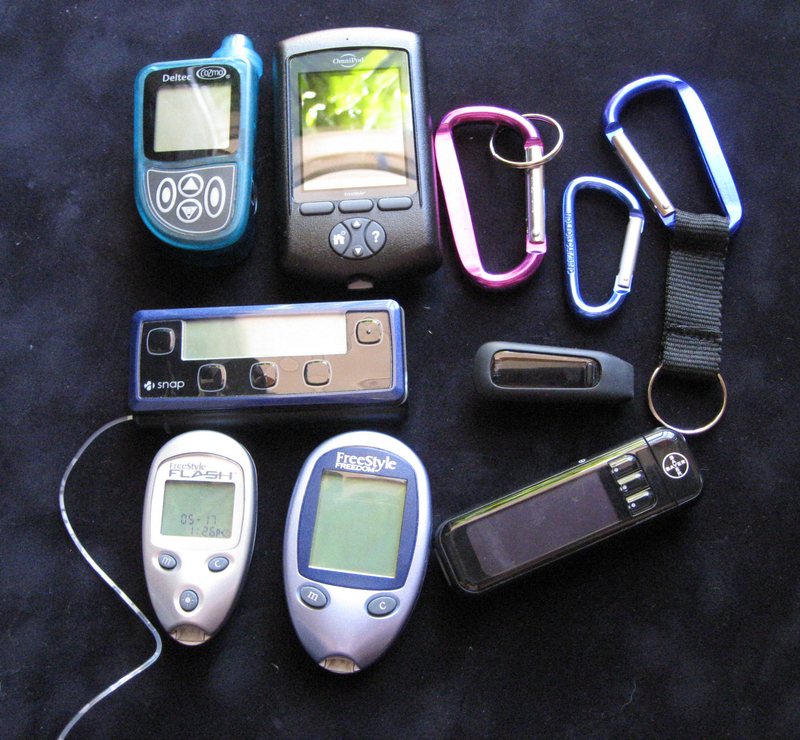 Very few people out there are familiar with insulin pumps and CGMs are a whole ‘nother story! My co worker has a pump too and we both jump every time an alarm goes off and then laugh as we check our pumps to see who is alarming. Been comical for us but I know it unnerves some people in meetings with us. From Jessica: yes, it’s a bummer to have this happen but as T1s we gotta deal… And it’s impossible to explain diabetes in 1 minute or even 1 hour.